to restore wholEness on Earth as in Cosmos-at-large. either we optimize unity or we're insensate. Aquarian Freedom-in-LOVE is a timely mandate. fearless faith overrules faithless fear. like evil spirits at the dawn of day." The divine destiny for Earth’s evolutions is not a mystery when known. as a universal Language of the Angels of (our better nature). 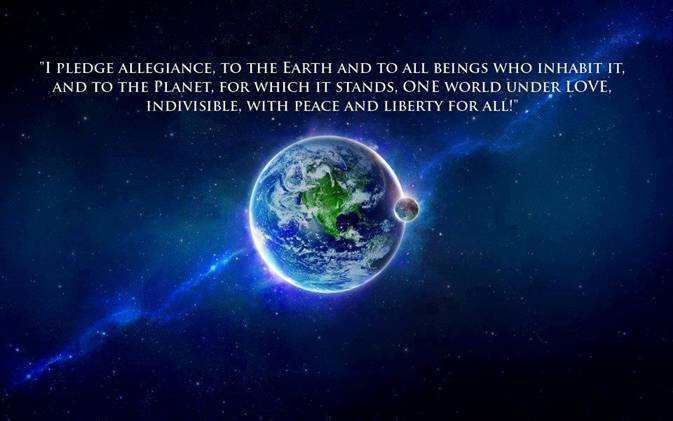 for the 'I AM RACE' globally ~ ~ as a Unity State (US). conscious evolution that will not budge. Language of the Angels of . for culturing social conscience in global social networks. for all of ‘US’ as the United Sovereigns of Earth. truly holy whole in spirit. as corresponds to the 'Archetypal Future of Time'.